Clean Cut beans into very small pieces. 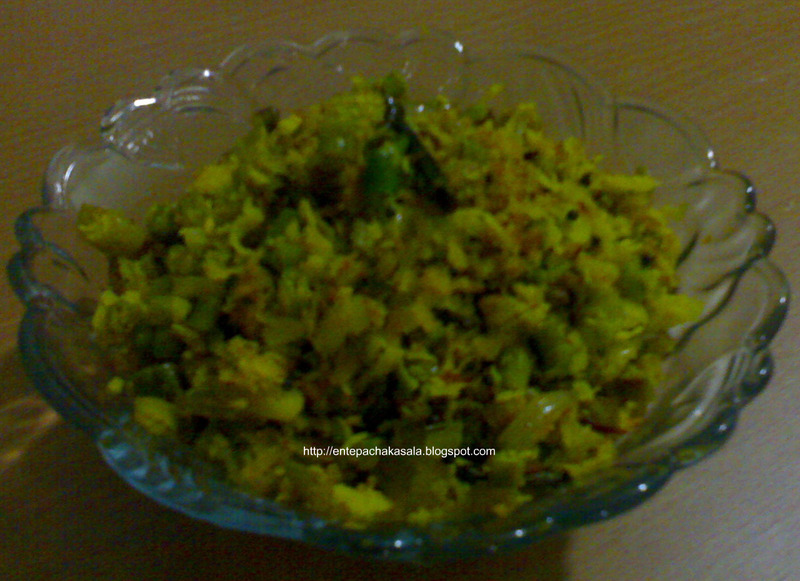 Combine long beans, grated coconut, shallots, green chilli, salt and turmeric with your hands. Heat oil in a pan. Add mustard seeds and when they splutter, add curry leaves. Add the mixture and saute well. Cover and cook for 5-6 minutes in low flame. Serve hot with rice. I love long beans thoran with hot steaming rasam, looks yummy..
looks yummy dear.. ennu enikkum ethu thanne aanu for lunch..
Looks really good. I have some in my refrigerator, i need to cook them. recipe sounds interesting enough to try soon...!